Legambiente is one of the most important environmental organization in Italy. It was born in 1980 thanks to the first experience of ecological informal that were raised in the middle 70′. With its 115.000 members, +1000 local organizations, +30.000 young students involved in environmental education activities. Legambiente is spread all over Italy. Think Globally, Act Locally: we try to make people understand that it is by making local changes that we can create a better environment for everyone on a global scale. Scientific Environmentalism: every initiative to defence the environment is carried according to scientific data. Every time we say ‘no’ to something that may be environmentally hazardous, we suggest concrete alternative. Legambiente Prato, local group was born in the middle 80′. Since then it has outreached many goals. Promotion of healthy life styles, Environmental education, local and international volunteerism, Substainable development especially connected to the improvement of eco-touristic routes in local green areas are important tasks constantly carried out by our organization. Legambiente Prato and Erasmus+: Since the european programme: Youth in Action, Legambiente Prato was one of the first local groups in Italy to pursuit projects among the European Volunteering Service (EVS) action. From 2007 until now Legambiente Prato has hosted 34 EVS volunteers from different european countries. 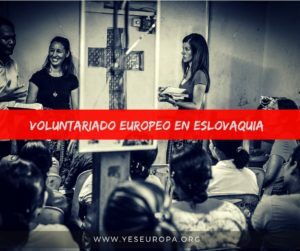 We sent more then 10 volunteers in other partner organizations all over Europe. We have a strong and proofed experience in managing all the steps of a EVS project. → Environmental Education : Every year Legambiente runs out projects on environmental education for schools and citizenship. More then 50 students’ classes of Prato (age 10-14 y.o.) will attend a course consisting in 2 seminars and a final workshop about ENERGY. EVS volunteers will support the staff of educators of Legambiente Prato in specific tasks: preparing equipment for schools seminars, preparing pictures & presentations, support staff during the lessons, support students during activities and games on energy. EVS volunteers according to their knowledge of italian language may lead also the seminars with support of educators. During the year, Legambiente Prato is also involved in other educational projects for schools. 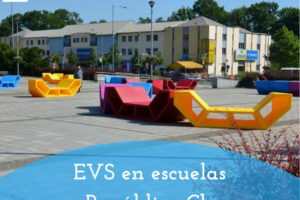 In case of activation of the following projects, EVS volunteers will be involved with the same tasks described above, Including all the aspects related to promotion- advertisement (social network-mailing list- local press) of the environmental education activities that schools and groups may join in. 2) Outdoor activities: Hiking in the natural protected areas of Prato. Our province has one of the largest extension of green areas in Italy. Legambiente Prato wants to promote the culture of environment by involving students and citizenship to visit these heritage that are under their eyes. → European and International Volunteering: Legambiente Prato promotes among youngsters the opportunity of the new ERASMUS+ programme as well as those ones related to international environmental workcamps ran out by Legambiente national department of Volunteerism. 1) Organization of at least 3-4 info-days/seminar during the year, on Erasmus+ opportunities for young people of Prato. 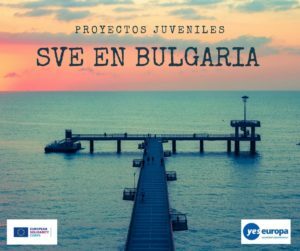 These events will be organized in several contexts: local youth centers, high schools, local center for youth employment and in collaboration with other local realities that are engaged in volunteering and social inclusion. 2) Organization of 2 monthly meetings on Erasmus+-Volunteering opportunities in the office of Legambiente Prato where young participants can ask to our EVS volunteers suggestions and useful details about EVS abroad, how to prepare a good candidacy, how to find hosting organizations. These informal meeting will favour also the local integration of evs volunteers with people from Prato. 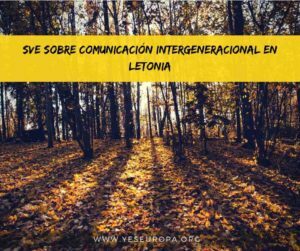 This integration process can be enhanced by coupling these meetings to recreational activities which are available in our office: TennisTable – Tea point – Language exchange (tandem) or any other recreational activities proposed by EVS volunteers! Before the organization and general planning of the above mentioned activities EVS volunteers will be involved in the preparation of leaflets, advertisement on social network, mailing lists, website, local press and so on. -organize the shifts and the work related to clean and cook in the hosting structure. 1) Environmental Education projects: Young students of Prato togheter with their teachers can spend their stay in Rifugio Le Cave and adding also some environmental education activities: hiking – workshops on: Gardening, Honeybees, Deer’s love call, animals of the reserve and so on EVS Volunteers’ tasks is to support legambiente’s trainers in the group working, in the preparation for didactical supports and games, advertisement and promotion of environmental education acitivities through social network – local press – website and creation of leaflets and brochures. 2) Hiking in Natural reserve: Natural reserve of Acquerino Cantagallo (where the Rifugio Le Cave is displaced) is a popular destination for hikers and tourists of Prato. Legambiente Prato’ thanks to its environmental guides can arrange day or night hiking to gather people and showing them the importance of this natural heritage. EVS volunteers tasks’ is to support local guide during the hiking, monitoring the group of people while they are walking and support for any needs. 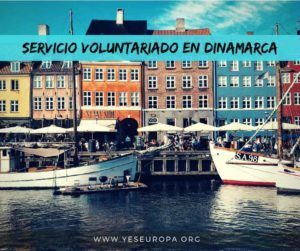 Before the excursions, EVS volunteers will support all the advertisement actions to promote these initiatives and increasing the numbers of visitors. 3) Summer Camps and Youth Exchange: During the summer period Legambiente Prato hosts 5 children summer camps in Rifugio Le Cave. Every camp lasts 1 week and hosts 20-25 children (8-14 y.o). EVS volunteers are actively involved in the 2 main tasks of the summer camp: support for housekeeping (see up for description) of Rifugio le Cave and support to environmental education – outdoor and hiking activities that has to be run out everyday for the group of children. Togheter with EVS volunteers there will be 2-3 responsibles of camps. 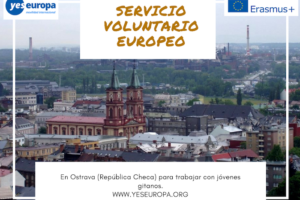 EVS volunteers may be involved also in the administative tasks: such as collection of Inscription to summer camps, activation of legambiente’s cards for children. In case of activation, during summer period Youth Exchanges will take places in Rifugio Le Cave. Youth exchanges will involve 20-25 particapants all over Europe (age 16-25) focused on specific topics . EVS volunteers will be involved in the general organization of Youth Exchange including some collateral administrative tasks (gathering inscriptions of particapants and so on) as well as all the above mentioned tasks of the Rifugio Le Cave. → The Garden in the theatre: Prato has had a very stong tradition in textile industry. In a small ex-industrial district close to city center raises “Fabbrichino” a theater that was born by an old industry. In the last 2 years “Fabbrichino” saw its second transformation…Infact this theater is now connected to a renewed garden where children, families and students can enjoy environmental workshop such as “Bamboo … the changing Garden”. “Bamboo” is a theather show followed by a workshop in the outside garden where old shoes boxes will gain a “second life” thanks to humus and paper flower that children can build from re-used items! The garden boxes will enrich the biodiversity of the little outside garden. EVS volunteers will be involved in the environmental workshop supporting little children in building their own “garden box”. This is one of the first up-cycling experiment involving theater and environment in town! → Citizen Science: Active citizenship is one of the most important european priorities. On the other hand still very little about scientific methodologies aimed to the study and conservation of Biodiversity is known by the common citizen! The value of Biodiversity for our life our food our health is still considered something that scientists has to sort out. With the new-coming approach of “Citizen Science” Legambiente Prato want to show to local citizenship, young students families how Biodivesity can be studied and appreciated even without a specific educational background. Thanks also to ICT based tools it will be possibile to discover biodiversity in terms of plants, insects, lichens and many more and then find out more about participative solutions to preserve the important balance of Ecosystems! EVS volunteers will have a strategic roles buy searching specific sites in the urban context were to apply for the first Citizen Science Experience In Prato. The preliminary research for proper urban areas will be followed by organization and promotion of “BioBlitz” days were people may join to discover the “Beauty of Life”. Citizen Science actions will be supported also by already developed tools that are available on internet. 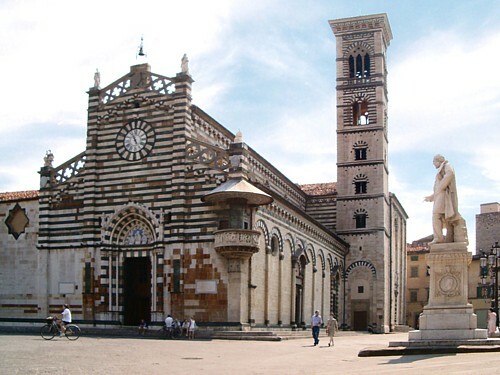 → Moving in Prato: Substainable Mobility has become a crucial point when talking about “smart cities” and in the general goal about mitigation of CO2 emission. Prato has 190.000 inhabitants and according to transportation statistics there are more cars then inhabitants in Prato. Legambiente Prato wants to take action about this point. → At any time of the year EVS volunteers are encouraged to create new events, ricreational activities (for example: photo/video exibition, vernissage, photo marathon, seminars and so on ) to carry out inlegambiente’s prato office and/or Rifugio Le Cave and/or in collaboration with other local associations thatcooperate with legambiente prato. Arrangments for activities: To carry out all the activities described so far, especially those concernsprojecting preparation and advertisement, evs volunteers will have open access to legambiente’s pratooffice and pc, which is only 50 meters far from the apartment where they’ll live. What can we offer to volunteers? → Working time: The number of working hours per day may vary according to different period of the year. The mean number of working time is 5-6 hours per day. During Summer, several engagements like summer camps for children, international workcamps, Rifugio Le cave hostelling will require a permanent stay up to 14 days in the place where those activities will occur. 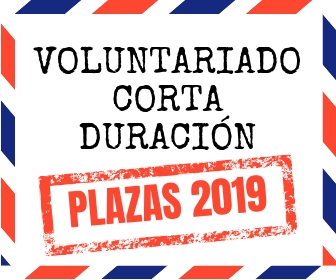 During the week, except for summer period (especially june-july-september), 2 days will be provided to volunteers with previous accordance with the responsible of project. 2 days holiday every month will be also guaranteed with previous accordance with responsible of project. Days off and holidays are intended to be flexible and cumulative in accordance with volunteers. → Accommodation: The volunteers will live together in shared accommodation (apartment) in the historical center of Prato, close to the main kind of facilities and amusements. The apartment has 3 independent double bed – rooms with shared cooking, washing, laundry and bathroom. Every volunteer is expected to live together with other 4-5 volunteers. Cleaning , basic hygienic conditions, energy saving strategies (gas, electricity and water) of the apartment are expected to accomplished by volunteers trough a well defined plan of “living together” rules. → Local transport: Every volunteer will receive a urban carnet for bus transportation (every 3 months bus carnet has to be renovated) + 2 bikes. →Training and support of volunteers: the host organisation provides task related support through the responsibles of project which are the people designated by Legambiente Prato.Every month there will be 2 meetings with the EVS volunteers to planning the calendar of activities on a daily basis togheter with the responsibles of EVS project and when possible also with the specific educators for evey single activities foreseen! 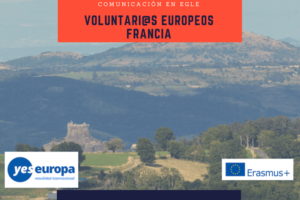 For evey activities foreseen in this EVS project, responsibles and educators of Legambiente Prato will deliver to EVS volunteers all the useful information, training and tools to carry out their tasks. The host organization identifies a mentor responsible for providing personal support to the volunteers and for helping them to integrate into the association. Mentor can plan individual and group meeting with the evs volunteers. The mentor has also a role in discussing the learning achievements with the volunteer at the end of the Activity period. The volunteers can turn to the mentor in case of problems. The volunteers will be actively involved in all activities and decision making and will be supported and trained by Legambiente Prato staff. → Language support: ITALIAN Language course will be delivered by our NATIONAL AGENCY with the new ERASMUS+ tool “On-line Linguistic support” which is cumpolsory for every evs volunteers. Legambiente Prato may identifies potential opportunities to learn italian thanks to collaboration with other association of Prato that may provide for free italian lessons to evs volunteers and immigrant people living in Prato.